London’s National Army Museum has launched a campaign to identify forgotten casualties of World War I. The Daily Telegraph reports the museum has established a dedicated unit to investigate cases where the deaths of soldiers, sailors and airmen from the conflict were inadvertently overlooked by the authorities. Once each case has been verified, the name serviceman will be passed to the Commonwealth War Graves Commission (CWGC) to ensure it is added to a memorial. The project, which is due to run for two years, already has 360 names to research and is expecting considerably more to coincide with the Centenary of World War I. Some experts believe there could be as many as 10,000 names missing from official records and memorials. The newspaper mentions the case of 21-year-old lance corporal Peter Pollock of the Royal Irish Rifles, 21, killed on the first day of the Battle of the Somme on 1 July 1916. 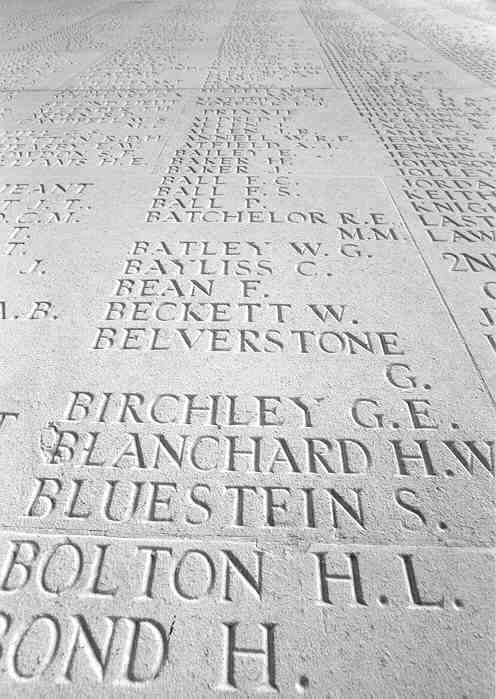 Amateur historians raised the case of the soldier and his name has recently been added to the Thiepval Memorial to the Missing in France. The CWGC was founded in 1917 as the Imperial War Graves Commission, but did not start its work until after the war had ended. Faced with a huge task it is perhaps not surprising that many soldiers were missed off the official lists, in particular those whose bodies were never found. Others who were overlooked included some who died of wounds or illness back in the UK. Among these was 25-year-old bombardier Reginald Buckman, of the Royal Field Artillery. A footman from Ardingly, Sussex, Buckman died of his injuries in hospital in London in October 1916, a month after being wounded on the Western Front. He now has an official headstone on his grave in Highbrook, West Sussex. This entry was posted in Events and tagged 1916, Ardingly, Centenary of World War I, CWGC, First Day of the Somme, Highbrook, lance corporal Peter Pollock of the Royal Irish Rifles, memorials, missing of World War I, National Army Museum, Royal Field Artillery, Royal Irish Rifles, Sussex, Thiepval Memorial to the Missing, West Sussex. Bookmark the permalink.